We understand the appreciation and generosity of private persons and public companies who have donated money in our charitable fund already. The first amount of money was given to buy educational equipment, the second amount was a contribution to the acquisition of another classroom needed for two new groups of children. With our and your help these children get no education at all. How is your money spent? With for example € 25 ( Irs 1250) you pay for 425 pencils or for 208 ballpoints or for 62 note-books or for two school –uniforms. Maybe for many of us it is not so much money, but it makes the difference for the children and teachers. So: Please help us and donate : give these wonderful children a chance! Please note: All donations received from our European supporters are normally transferred periodically, to reduce unnecessary bank charges. Once again we thank you all for the generous donations for the children of the Kashi Mandir School. The foundation is recognized by Dutch Tax Revenue Service as a so-called ANBI institution. By this, people are able to give taxfree donations if wanted. 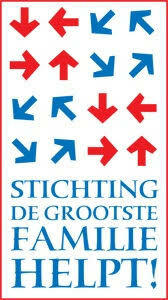 The foundation is also registered in the books of the Chamber of Commerce Northern-Netherlands under number 04082275. Donations from abroad to the Dutch bankaccount: read the information on the right.